BOSTON (12-Apr) — Much has been made of the loneliness of the long distance runner, but for many of the 128 elite athletes who will run Monday’s 123rd Boston Marathon their race preparations required a commitment from their entire family. 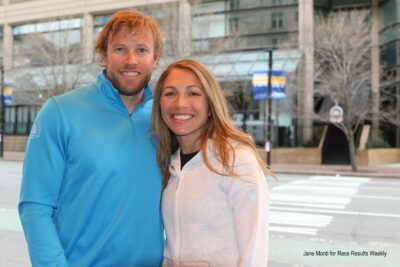 Some athletes have spent weeks, even months, at far-away training camps while their spouses stayed at home working full or part-time jobs, taking care of homes, and minding children. Young children lost precious time with fathers and mothers, all in the name of marathon success. 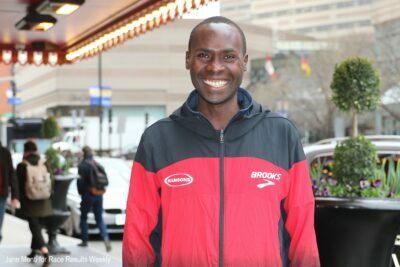 Ritzenhein’s Hansons Brooks teammate Shadrack Biwott is also a father and had to spend long periods of time away from his family in Folsom, Calif. But Biwott, 34, said his wife Katharine, son Xavier (11), and daughter Eve (6), are fully committed to his career. For Kenya’s Edna Kiplagat, the 2017 Boston Marathon champion, her marathon build-up put an unusual strain on her family this year. In January her husband and coach, Gilbert Koech, and her children, Carlos (15) and Wendy (10), relocated from Kenya to Boulder, Colorado, where they enrolled in an American school for the first time. Kiplagat remained in Kenya to train alone trusting Koech to support the children during their transition. Koech, who gave up his own running career to coach his wife, has a special understanding of what she needs to succeed. Everything in their family is organized to maximize Kiplagat’s chances of success, especially since she is close to the end of her competitive career. “It’s great to be able to show my girls how you can make a career out of something you love the most,” she said. For Sally Kipyego –the 2012 Olympic 10,000m silver medalist for Kenya who became an American citizen in January, 2017– her primary training partner is her husband, Kevin Chelimo. Chelimo, a 2:15 marathoner, matched nearly every step of Kipyego’s marathon program while the couple stayed in Kenya for training with their daughter Emma (21 months-old) this winter. Chelimo has committed himself to helping his wife build back up to the world-class level she was at before having Emma. Boston’s hills –both up and down– make it a very difficult marathon, and Kipyego said that thinking about her family would help her run her best, especially in the second half of the race.